An aggrieved nurse just sent me this email. I have no idea what auxiliary nurses are but please read.. I need to call the attention of the ministry of health and the nursing and midwifery Council of Nigeria to wake up from their slumber. 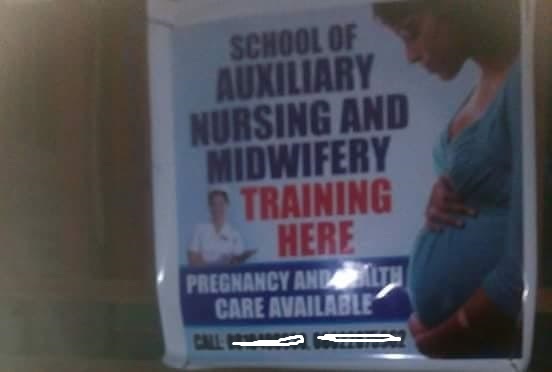 It's not a new news that Auxiliary Nurses have taken over the private hospitals, there by giving bad name to the profession and causing the death of many. Can u imagine the penalty for those training killers? N1000 at the expense of peoples lives. I know of one hospital in Egbeda, Lagos state that duplicates registered Nurses license and give it to auxiliary Nurses. My dear country people it's not Nurses that are killing your babies, or causing them lasting deformity, neither is it the registered Nurses that circumcises your child wrongly, it is those killers called Auxiliary Nurses that don't know the scientific rationale behind what they are doing. 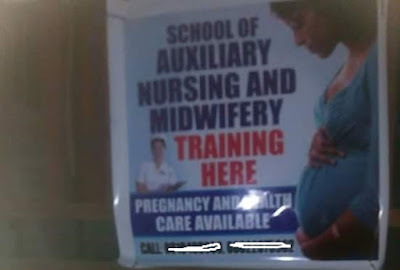 Nigerians if you love yourself, your family, your friends, SAY NO TO AUXILIARY NURSES. And to the NAMCN, keep sleeping, keep increasing license fee, keep increasing examination fees and don't do the needful, keep collecting bribes and form blind eyes to the issue, till your grand childs leg is deformed by an auxiliary, or till you are sick and you rushed to a private hospital where an auxiliary administer your drugs wrongly to facilitate your death. Chief nurse Onome on behalf of the Registered Nurses.